The video explains how Carlsen maneuvered to outnumber Karjakin in number of pieces that can go into those squares. This includes exchanging his two bishops for Karjakin's two knights, in a game that a result of these changes, is opening. My question is, why are these two squares so important? Specially b5 is quite far from both sides' kings. PS: Carlsen indeed moves his knight to b5 later on. The final position is a very typical position of weak bishop against strong knight. 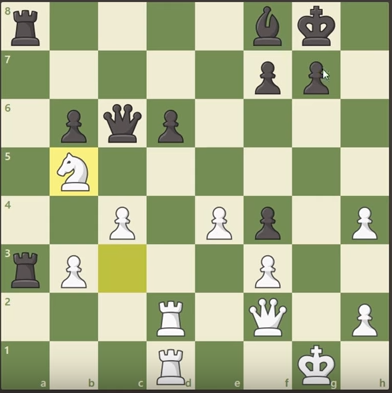 The knight has good outposts on d5 and b5, where it is supported/protected by white pawns and cannot be challenged by any black pieces unless black sacrifices an exchange (rook for knight). Also the white knight is very mobile and can basically go wherever it wants. In contrast, black's bishop is very passive and bound to the protection of the d6 pawn. It is hindered in activity by its own pawns and cannot attack any white pawn (because most all of them and all relevant ones are on light squares). Furthermore black has very weak pawns which are relatively easy to attack/win. Of course care needs to be taken, because black occupies the only open file, but other than that only white has winning chances. 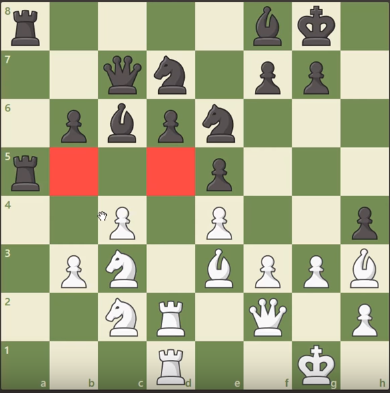 So the point/plan for white as stated in the video is to leave black with his weakest minor piece and conserve a white knight to take advantage of these weak squares. Similar ideas appear in some lines of the Sicilian Najdorf, where white sometimes manages to exchange a dark squared bishop on f6 for a black knight, thereby reducing the number of black pieces that can cover the typical Najdorf hole (weak square on d5), while remaining with two knights and a light squared bishop all of which can take advantage of the weak light squares. Not the answer you're looking for? Browse other questions tagged analysis strategy positional-play carlsen karjakin or ask your own question. Why wasn't this strategy chosen? How can I continue in this situation?